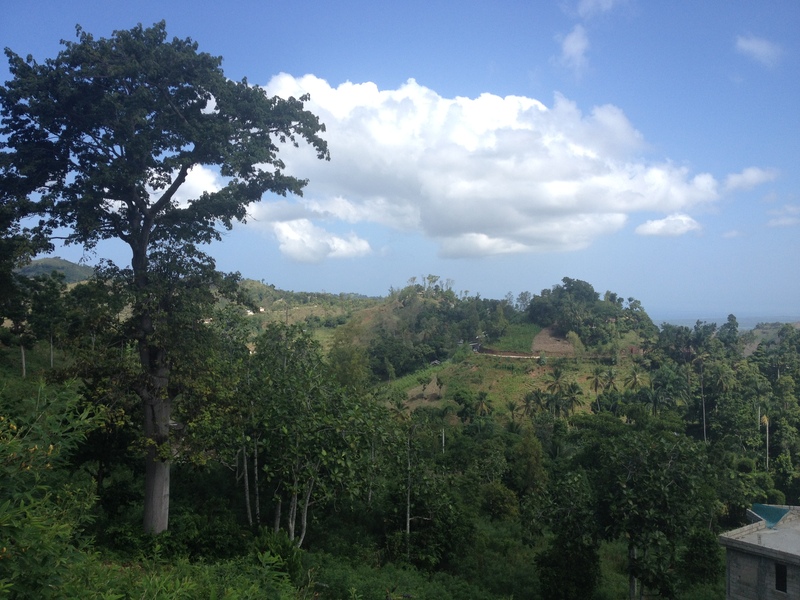 Where I live in Mizak is about 10 miles up into the mountains off of the main road that goes from Port-au-Prince to Jacmel. For the last 2 years they have been paving this road up through the mountains from the main road to go up beyond Mizak to the areas of Ridore and Ternier. It’s an incredible development for the people of our community and the others up the mountain, that we never expected to happen and now that it is happening, we can’t wait for it to be finished. Of the 10 miles up to my area, almost the entire thing is finished except for a stretch of about 1 mile of road towards the bottom that is still dry dirt and rock. And it’s been this way for a while. They are leaving this stretch for last while they work farther up the mountain. And because of this stretch of unfinished road, there is a new law of probability that every motorcycle driver and ever motorcycle rider now knows to be true. It goes like this: If you are going from Mizak to Jacmel on a motorcycle, you can assume that the one big truck that you are going to meet on the road will meet you within the one mile of unpaved road and that one big truck will engulf you in a suffocating cloud of unforgiving red dust. The entire rest of the way, along all of the paved part, you are unlikely to meet any trucks. And if you are going to get stuck behind a big truck for any length of time along the way, it is guaranteed to be during this one mile. As soon as the pavement starts again, you will be able to pass it. 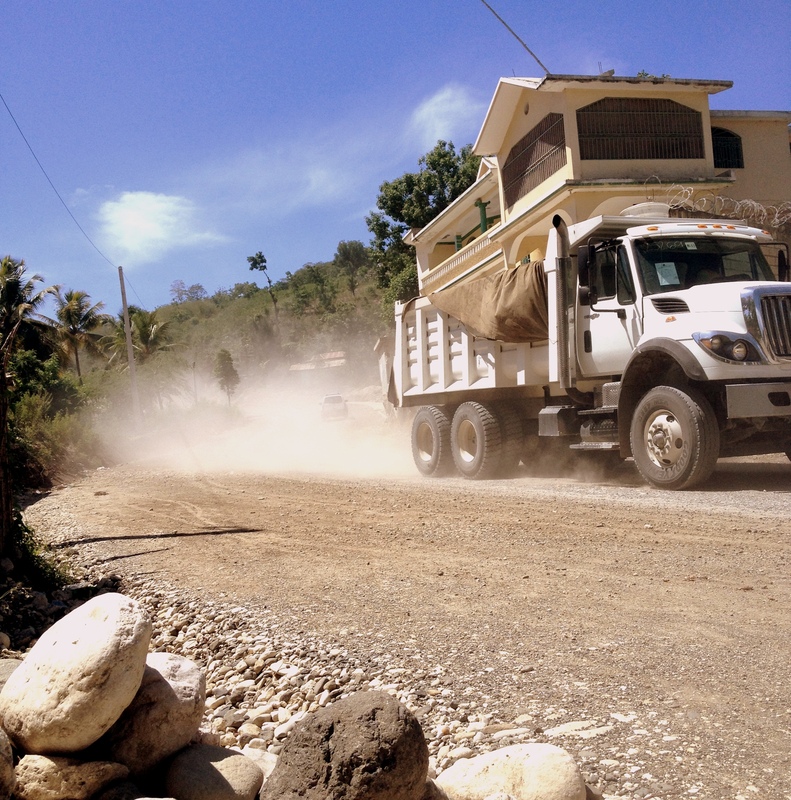 For the many years before the road work began, we knew to be prepared for dust on the road. We would never take off on a moto without putting hoods on our heads and tying bandanas around our nose and mouth and covering our eyes with sunglasses. There would be times when the rain wasn’t falling when everyone on a motorcycle between Jacmel and Mizak looked like they were ready to rob a bank. But now that there’s a “road” we take for granted the clean, fresh, air that we’re able to breathe in 90% of the time on the way and get assaulted by the Dusty Truck Probability every time. And then we get to where we’re going with our skin caked with dust and someone asks why we’re so dirty and we respond, “because the road’s dusty.” And they look at us confused and say, “I thought that they paved that road?” And we just shake our dirty heads because they’re not accustomed to the Dusty Truck Law. The more that I take this ride and encounter the same phenomenon each time, it has started to make me think about the dusty trucks that I encounter upon my own road of life. Because that really is how life goes, isn’t it? When the road’s the roughest and the path feels incomplete, that’s always when the big ole trucks come rumbling our way with a giant cloud of dust billowing behind them to make things worse. If we come across these trucks along the rest of the path, when the road is smooth and the air is fresh to breathe, then we pass by them easily, the problem hardly feels like a problem at all. But because we come across them right there, when we’re already struggling, when the environment is already harsh, then the problems seem so much greater than they are, exaggerated by the consequential moment at which we encounter them. When we’re already depressed, that’s when our friends call and cancel their plans. Then when we’re treating our depression with Netflix, 10 minutes to the end of the show, that’s when the internet goes out. When we’re already late for work, that’s when all of the lights are turning red. When we’re already dead broke, that’s when the debt collectors call and make things worse. When we’re in a moment of grief, that’s when the doctor calls with more bad news. When things are going bad but we’re just trying to close our eyes and make it through, that’s when it always seems more problems show up to complicate things to the point where we can’t even breathe. The truth is that the moto ride from my place down to the city is 20 minutes of coasting through some of the most spectacular scenery and life affirming nature possible. It induces a sense of serenity and makes you thankful to be in this place in those moments. And as long as I remember that, then the dusty trucks on the rough mile have no effect on me. They just become one more part of the journey that reminds me why the rest was worth embarking on in the first place. Here’s to appreciating the 9 miles of beauty and knowing that the 1 mile of dust shall pass. ❤ Thank you as always for much needed perspective. Love your work, love you too!